The Oppostion leaders had slammed the UP CM for personalising the armed forces. 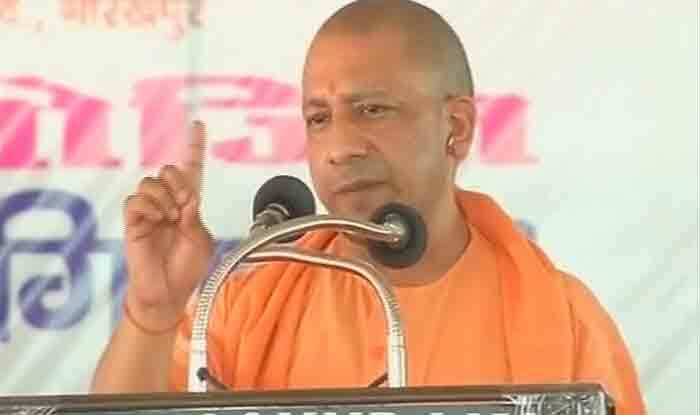 New Delhi: The Election Commission has cautioned Uttar Pradesh Chief Minister Yogi Adityanath, five days after he referred to the Indian Army as “Modiji ki Sena” at an election rally. “Being a senior leader, he should be extremely careful. The commission is not satisfied with the explanation and advises Yogi Adityanath to be cautious while making statements at public rallies,” EC said in a statement. The development came after Congress party urged the Election Commission to take cognizance of Uttar Pradesh Chief Minister Yogi Adityanath and Union minister Mukhtar Abbas Naqvi’s “Modi ki Army” comment and take a “decisive” action to deter others from making such a statement. Speaking to reporters, Congress chief spokesperson Randeep Singh Surjewala alleged that those who have trampled upon the democracy are challenging constitutional authorities. The EC should take action against them, failing which people will come forward and “take control”, “like Lord Krishna did”, he warned. If the EC does not take action against the two leaders, Surjewala said, his party would “remind” the poll panel of its responsibilities. While campaigning for Ghaziabad MP and Union minister VK Singh on April 1, Adityanath had described the Indian Army as “Modi ji ki sena” to make a distinction between the Army’s response to terrorists under the Modi government. “Congress ke log aatankwadiyon ko biryani khilate the aur Modi ji ki sena aatankwadiyon ko goli aur gola deti hai (Congress people would feed biryani to terrorists, while Modi’s army gives them bullet or bomb). This is the difference. The Congress people use ‘ji’ in Masood Azhar’s name to encourage terrorists,” UP CM had said. The Elections Commission had also asked the district magistrate of Ghaziabad to submit a report so that it can be checked if there was any violation of Model Code of Conduct. The poll panel had earlier asked all political parties to “desist” from indulging in any propaganda involving defence forces during their Lok Sabha poll campaigns.